Joseph is originally from Los Angeles. 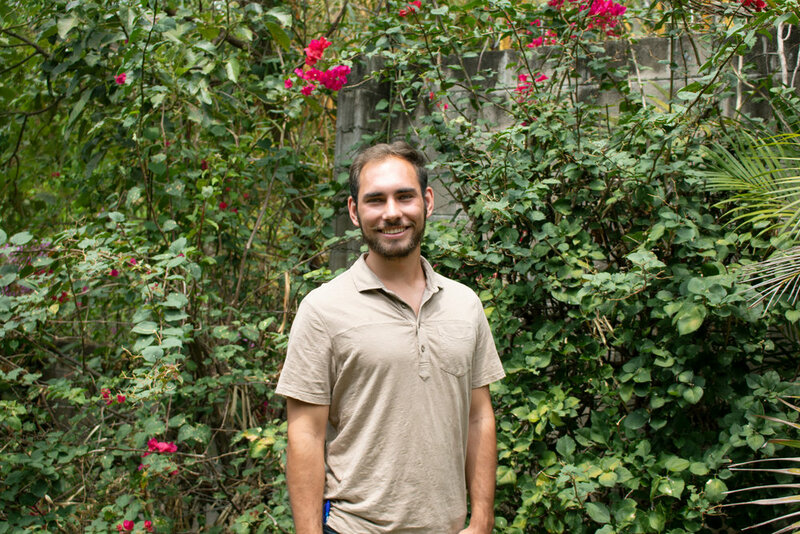 He is a United Methodist missionary from the Global Mission Fellows program, and has served as a volunteer with the Global School for a year and a half. He currently serves as the program’s Recruitment Officer. I sat down with Joseph last week to ask a few questions. What makes the Global School unique? The Global School does intercultural, participatory seminars based on work people here at Cristosal and some of our partner organizations are doing in the field. The seminars we host are different from a lot of programs in that they are intentionally intercultural. We’re trying to bring in diverse groups from North America, as well as diverse groups of people living here [in Central America. The intercultural aspect helps us understand our own cultures, and the way we apply human rights in our contexts and abroad. Having participatory seminars is really important. One, because to really use a human rights approach, you need participation. We recognize that all of our participants have something to contribute. There’s no one who knows nothing; everybody knows something. Being part of the construction of knowledge and skills helps reinforces what we’re learning. Two, the participatory approach helps us develop new things. The ideas that come out of these seminars are often new in some way, or they combine things people know in different ways. Three, it’s a good way for us to model what a human rights approach looks like. You’re not coming to listen to a bunch of lectures where people tell you what the human rights approach is, you’re really there to participate in developing a human rights-based seminar. The research we’re doing, the different groups we work with in El Salvador, Honduras, and Guatemala, are all doing work that hasn’t been done before. We’re doing research on state violence, non-state actors like gangs, working with victimizers to build peace, and this is what informs our seminars. The Global School is an opportunity to get a first hand look at the work we’re doing right now. How do Global School seminars balance this expert information with the things our participants already know? In a typical workshop, we start with having participants share what they know about a certain theme. We have some groups with a very basic level of information who are just getting started; we have other groups who have been part of human rights work before and know a lot more about this specific theme. Then we have one of our presenters, with more of a foundation in human rights theory, share some practical examples. This might be some kind of lecture. After that, it goes into a group exercise where people examine their own experiences. Tell me about one of your favorite moments with the Global School. I love seeing moments when people are truly moved. At the end of one seminar, we were in a group reflecting on the week we’d had. One of the participants started to tear up, and talked about how they were often one of these people that puts up walls. They don’t like to expose themselves and be vulnerable, or to allow difficult situations or pain to get in. Seeing the work that people are doing to affect change was such a moving experience for this person that they did let themselves really feel the difficulty and pain of witnessing really heartbreaking situations. At the same time, they could appreciate the work being done, and the resilience of the people involved. It’s difficult, but seeing that kind of struggle and emotion is always really beautiful. When it reaches past the brain and touches the heart, it’s an amazing thing. Tell me about a memorable participant or group of participants. What made them stand out? We have a seminar for asylum lawyers every year, and this year’s group was particularly memorable. The part that really got me excited was seeing the conversation shift from ‘How do I win my cases?’ to ‘How do we make a system that protects refugees, instead of having to go to court every time somebody crosses the border?’ Watching the shift from ‘What can I do to fix this one issue?’ to ‘What can we do to change a broken system?’ is always a really inspiring moment. Tell me about someone who took action at home as a result of their Global School experience. What did they do? We had a seminar last year on community development with a human rights approach. The participants were from a church that had a sister community in El Salvador. They had this long history of donating to a scholarship fund for kids to go to university, a history of solidarity and sisterhood. When they came down on this seminar, we got to have a lot of conversations with community members from both the U.S. and El Salvador about how their relationship was working, and whether it could be improved by applying a human rights approach. What’s the role of the U.S. community that’s supporting this scholarship, and how can we all work together to affect change? We just recently got an email from one of the women from that trip. She said they’re still in conversation, that the seminar is still informing their dialogue and their relationship. It’s amazing to see the concrete ways that learning these skills and having these conversations is helping transform a relationship. What do you hope people take away from the Global School? Our hope is that people come out of the Global School with a deeper understanding of human rights and practical tools to take action. We want to help equip people with knowledge and tools to become better human rights defenders. Find your seminar today! Email globalschool@cristosal.org or visit www.cristosal.org/global-school for more information.